Although a million dollars won’t buy you what it used to, becoming a millionaire is still the gold standard of financial success in America. Once you’ve crossed the million dollar barrier, you have officially entered into the land of the wealthy. For most Americans, a million dollars in net worth seems like it is out of reach – but it doesn’t have to be. According to the Spectrum Group, a market research and consulting firm based in the D.C. area, more U.S. households than ever before have a net worth of over one million dollars. In 2014, this demographic included 10.1 million households, an increase of almost 500,000 from the previous year. How do they do it? The answers may not be as difficult – or as complicated – as you might think. Building wealth is often the result of creating good habits and dedicating yourself to accomplishing individual tasks. Sure, it helps if you’ve learned the basics of how to start investing, but that is often just one piece of the puzzle. 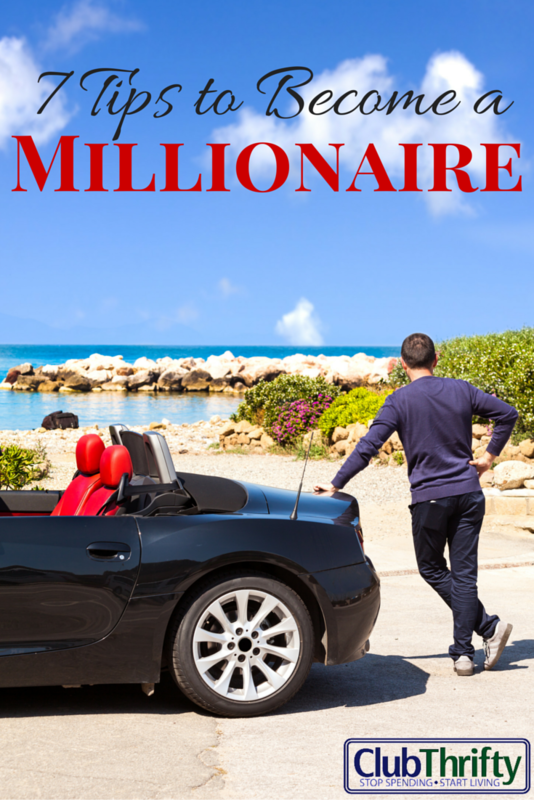 If you’ve ever wanted to know how to become a millionaire, now is the time to start learning. 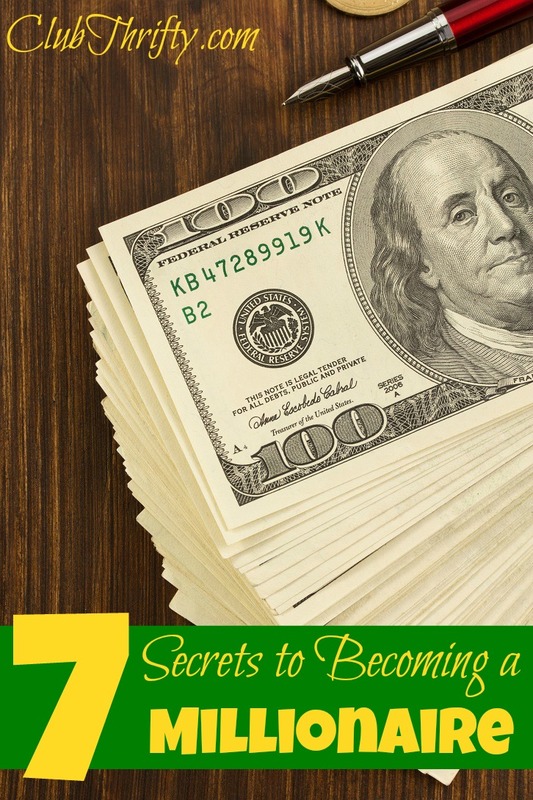 Use these 7 (not so secret) secrets to start building your fortune today. One of the most overlooked pieces to building wealth is the need to create a plan. You’ll never understand how to become a millionaire if you don’t know where you are going and how you’re going to get there. Heading into unknown territory can be frightening and overwhelming. As with every good quest, your journey to millions must begin by creating your very own wealth building road map. “You have to start with the big picture,” states Brewer. Contemplate what your goals are and write them down. Then create actionable steps to accomplish them. Brewer, suggests that you focus on implementing the steps rather than focusing on the larger goal. If you are able to digest your quest in smaller chunks, the entire journey seems much more manageable. You may have heard this one before, but do you know what “paying yourself first” really means. In his book The Automatic Millionaire, David Bach outlines this premise in great detail. Boiled down to its essence, Bach argues that you need to set aside money for your own savings each month before you spend anything else. You put your own savings ahead of your bills, your monthly spending, and anything else you may want to do. Ideally, you’ll have this automatically deducted from your paycheck so you can set it and forget it. Those who have learned how to become rich have mastered the art of saving, and they always pay themselves first. If you want to learn how to become a millionaire, you have to let go of your addiction to debt. Wealthy people understand that consumer debt is a fast track to the poor house. Racking up huge amounts of consumer debt makes it difficult to pay yourself first, and it’s nearly impossible to save significant amounts of money when you are paying out substantial portions of your income each month to lenders. Worse yet, it’s an addictive carousel ride that is hard to jump off of once you’ve started. However, not all debt has to be bad. Many business owners need to leverage debt in order to operate their businesses. If you’re looking to start a business, chances are you may need to get a loan to fund your new endeavor. Creating separate accounts for your savings goals is a great way to track your progress and save for specific items. Using separate accounts to save for retirement, college, or a new car helps to earmark the purpose for each dollar saved. However, when you are starting out, your most important savings goal should be the creation of an emergency fund. We come back to this topic time and time again, but the truth is that you need to have a fully funded emergency account if you ever want to build real wealth. Emergencies are bound to happen. What you don’t want is for an unexpected expense to derail your entire savings plan. Unforeseen expenses aren’t just a problem for those who are struggling. Emergency expenditures happen to rich people too. The difference is that wealthy people know they have to prepare for it. Instead of sending their financial world spiraling into tailspin, rich people simply dip into their emergency fund when the need arises. They are able to shrug it off and move on with their life. If you don’t already know, an emergency fund is exactly what it sounds like – an account that you set aside to use for emergencies only. If your water heater breaks, you use money from your emergency fund to fix it. Did a softball fly through your window? Fix it with money from the emergency fund. Lose your job? Use your emergency fund to help you pay the rent and keep the lights on. When I work with my financial coaching clients, building a starter emergency fund of $1,000 is always the first step I recommend. From there, you should work your way up. Ideally, you’ll want to have at least 3-6 months of expenses socked away for emergencies, depending on your income situation. Personally, I like to keep 6-9 months stashed away, just in case. An emergency fund should not be used as an investment. The money should be kept in a separate, liquid savings account that you can access quickly. Also, you should only be tapping into this fund in the case of an emergency! And, no…that does not include getting tickets to the Maroon 5 concert. That goes in your monthly budget, smartypants. The value of time is a concept that most of the world fails to grasp. Your time is the most valuable asset that you have. Most people are so eager to sell their time in order to make a quick buck. In our economic system, it is not only encouraged, but it is the norm. Those that have cracked the time/value code really understand what their time is worth. That is why the majority of the wealthiest people in the world are entrepreneurs. Rich people don’t sell their time. They buy your time and sell it to others so that they can continue to search for ways to provide more value – and make more money. Additionally, working for somebody else means giving up control of your income and your job stability. If you really want to know how to become a millionaire, you need to find a way to provide value to other people. You must create a product or a service that others will pay for. Ideally, you should create a system where – once the value is created – you can continue to sell it over and over again. This is what is known as a passive income stream. Too many of us see risk as something to be avoided. Entrepreneurs and millionaires view carefully analyzed risk as an opportunity to create value and make money. Don’t let the risk of failure paralyze you. Be bold. Create something of value and turn it into your own business. One of the best kept secrets about building wealth is the ability of the wealthy to create and manage multiple streams of income. The saying goes that the “average millionaire has 7 different streams of income.” Compare that to the average American, who’s income is completely reliant on their one and only job, and you can see why wealthy individuals are able to build wealth faster than the average person. Having multiple streams of income serves several different purposes. First, and most obviously, it allows you the opportunity to make more money. In theory, the more ways you have to make money, the greater your chances for creating increased cash flow. For example, the only opportunity you have to increase your income at your job is through a raise – which is controlled by they company that you work for. By creating another source of income, you effectively give yourself your own raise. This is why developing side jobs can be so effective when you are trying to earn more money build wealth. In the event that one of your income streams suddenly dries up, additional income streams also allow you some financial flexibility. If you depend entirely upon your job as your only source of income, you will be are thrust into financial crisis mode if you ever lose that job. 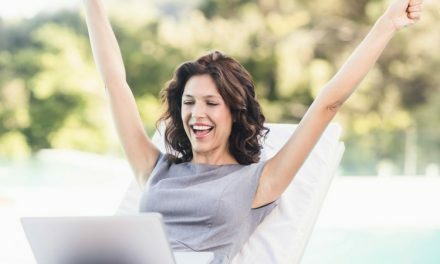 Multiple streams of income allow you to stem the tide of panic. Losing one source of income simply means that you still have multiple other sources from which to draw. Several streams gives you multiple options, which translates into increased financial freedom. Now that you’ve created your plan and started building wealth, you should look for ways to protect it. 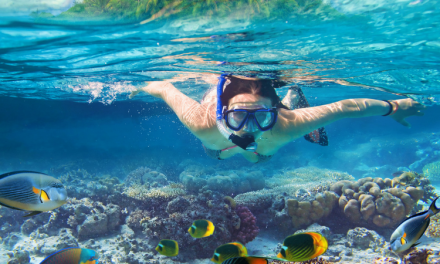 Wealthy people are always looking for ways to make their money work for them while sheltering it from the greedy hand of the IRS – and so should you. Decreasing your tax liability isn’t just something for rich people. You should actively seek ways to reduce your taxes and create more wealth through the power of compound interest. For most people, the best solution is using tax-advantanged retirement accounts. Essentially, tax-advantaged retirement accounts are investment accounts in which your taxes are either tax-deferred or tax-exempt. These types of accounts include qualified plans like IRA’s and 401k plans. Self-employed people can also take advatange of SEP-IRA’s and other tax-advantaged retirement accounts. “It’s important to start saving for retirement with your first job and slowly increase your contributions each year,” says Bera. The earlier you start, the more effect compounding interest can have on the growth of your account. In addition, employees should take advantage of their company’s retirement programs. Many employer sponsored programs offer to match a certain percentage of the contributions made by their employees. Thus, if an employee commits 4% of their salary into a company sponsored 401k plan, the company may match it – effectively doubling the employee’s contribution. Not only will it help your account’s bottom line, but this extra money can have a huge effect on the amount of interest that you earn over time. Besides, it’s free money…and who doesn’t love that? By the look of it, you probably couldn’t tell the difference between your average millionaire and a your child’s high school math teacher. They look like everybody else. Your average millionaire doesn’t flaunt their wealth through material goods. They know how to save money and have learned to spend it sparingly. Rather than buying consumer goods, like fancy cars and designer clothes, millionaires have learned to spend their money where it counts. They use their resources to buy things that either appreciate in value or create additional income. The key to living within your means lies in your ability to budget. Each month, you should assign a specific task to every dollar that you make. Whether that is for your savings, electric bill, or entertainment, “spend” each dollar on paper before you spend it in practice. In this way, you’ll never be left wondering where all your money wandered off to…and you’ll learn to live within your means. Becoming a millionaire may seem like a daunting task, but if you follow these tips, it doesn’t have to be. By creating an actionable plan and sticking to it, you are setting yourself up to succeed. What steps have you taken toward becoming a millionaire? Have you started? Let us know in the comments below! All good tips and I’ve implemented all of them. Wealth means different things to different people. But, I believe you can feel wealthy even if you don’t have a million dollars in assets. Some people get wrapped up in the million dollar mark at the expense of other things like spending time with family and building relationships. You’ve got to keep it all in the right perspective. There are definitely many things that are more valuable in life than money. However, if you do it right, having money can allow you the freedom and the flexibility to focus on the things (and people) you love. It certainly makes life easier when you have options and you aren’t entirely dependent on one stream of income to survive. Great topic. I think the key is passive or residual income streams. Difficult to achieved millionaire status just by working for someone else. It really is difficult to achieve that status when you only rely on one stream of income. However, it is still possible if you save and invest over a long period of time. Great write-up Greg! I can definitely vouch for the power of tax-sheltered savings, compounding returns, and multiple streams of income. By focusing the majority of my early retirement plan on these three areas we’ve been able to accelerate our savings all the way up to the point where we’re finally maxing out all our accounts. Thanks MMD! Any one of those things could have a massive impact on your ability to grow wealth, but when you combine them all together – watch out! Congrats on maxing out the accounts. It feels great, doesn’t it?!? Yay! It does feel like I can be a millionaire one day. What I have to do is to do these secrets religiously. Thank you! You can do it Jayson! It really is within your grasp. Avoiding debt like the plague is first and foremost for me. You can’t focus on building wealth and being a millionaire if you are stuck in debt. It is so difficult to save when you owe half your paycheck to somebody else. If people realized that and got their debt under conrol, they could still have everything that they really wanted AND save money! These are all solid Greg! We’re doing all of them ourselves and really started focusing on it considerably more when we started our business so we could shelter as much as we can from taxes. Ugh! Taxes! They are a killer when you are self-employed. I think the average person would be outraged if they actually had to pay their taxes quarterly instead of having it deducted from their paycheck. It just seems like funny money then. I actually read a financial advice column the other day that said you need an emergency fund to buy that new car or go on that vacation…..yikes! A vacation isn’t an emergency and a new car should be a planned expense unless you are in an accident or it breaks down with no hope of repair. So I’d add to your list, plan for expenses you know will eventually happen. If you save for a bigger down payment for the car, perhaps you can’t pay cash but you certainly can reduce the amount you have to finance. Right on Kathy. Those are def not emergencies! I’ve got a plan and work to pay myself first each month. Working to build up income streams so that I can continue committing to the plan. Keep on rocking it Stefanie! Work the plan and you’ll definitely see the payoff. I think your bonus tip actually is probably one of the most important tips for people looking to become a millionaire. I typically talk to and deal with people (myself included) who are primarily focused on increasing their income. What I sometimes fail to think about is the people who aren’t looking to increase their income and expect it to stay pretty much flat from now until retirement. These individuals need to make living within their means and consistently saving/investing as their top priority if they want to become millionaires. I totally agree. If your wages are flat, you really need to live below your means if you want to reach that million dollar mark. Even increasing your income means nothing if you spend it all! These are really great actionable tips! Right now I’m working on paying off debt and diversifying my income. I can’t wait to start investing more and living within my means and budgeting is a must for me. The power of multiple streams of income has really hit home with me lately. It’s a financial cushion like none other, save for having no debt. Great post, Greg! Multiple streams of income is both a financial safety net and a great way to earn lots of money quickly. The thing is, most people wouldn’t dream of trying to build more streams of income. They are fooled into thinking that their job is completely secure, when it really isn’t. Without fail, most wealth people always create multiple income streams to increase and stabilize their income. Avoid consumer debt like the plague but use debt to your advantage if it means leveraging assets to build wealth! I think so many people see debt as all or none and lump it into one category, and it really isn’t that black and white. We would have no rentals if we didn’t take on some debt, but that’s how I’m going to walk away in a few years hopefully. I would love to pay for everything in cash but that would take way longer than I’m willing to wait. I would agree with you on debt. We wouldn’t have a house or rentals either if it wasn’t for using some debt. However, those rentals are being paid off by the renters and we can afford to pay them off ourselves, if we had to do so. Although business debt can turn into a nightmare, it can be a great tool to make a lot of money – provided you don’t over leverage yourself. Yeah, you certainly can’t cover everybody’s unique situation in one article. Things are always going to come up, but you can only control that which is within your power to control. If you start with a good baseline of savings habits and techniques you’re going to be giving yourself a fighting chance for success, no matter the situation. The Automatic Millionaire was the first personal finance book I read out of college and it was eye-opening. I loved the concept that being a millionaire seemed so simple (if you have a plan and follow through). I’m a big fan of automating savings and investing…it’s much easier when the money is out of sight and out of mind…and that money is accumulating in your savings/investment accounts. Compounding really works its magic too if you give it time and stay the course. I love that book. It is an oldie, but a goodie. The automatic concept is one that we don’t have the option of using any more. However, I used to have money put right into my retirement account ever month. You never even feel the sting of saving because you never had it in your hand to begin with. Great to see you over here Greg – definitely agree with the multiple streams of income. It’s how I make my money for sure. That is how we survive (and thrive) too – the more income streams we can create, the better! Great tips Holly! I haven’t done all of these, but I’m working on them and trying to get better about building up more streams of income and not auctioning off my time as much as I used to. Great points!!! I think that the concept of becoming a millionaire seems so foreign and remote to most people that they just assume they will never get there, and it’s not that they will never get there but they have to have the patience and implement the right practices over time that will get them there. It’s not an easy process, but it is a fruitful one when you make the right choices. It certainly takes patience. There is rarely a way to get rich quickly. You have to have a plan and make good decisions over a long period of time. If you do, the rewards are typically there for the taking. Thx for sharing. From reading the secrets, I need to work on 2 things: rovide Something of Value…Other than Your Time and Create multiple streams of income. also, the book looks nice to read. There are a lot of great financial books out there, and I would definitely recommend both of them that I mentioned in the piece. I love the multiple streams of income approach because it has worked so well for us. Like you said, a million dollars isn’t quite what you it used to be but so many people still see it as something out of their range. To me, that’s the first thing they need to address before if they don’t believe it’s possible, they will never do the work to make it a reality. Then the next step is to actually figure out the amount you need, some actually don’t need a $1M and others need more. Great steps, Greg! Thanks Shannon. I wholeheartedly agree that someone’s attitude has a huge effect on their outcomes. Believing it is possible is always the first step! For some reason my 7 year old is really motivated to make money right now. I’m thinking about a way he can pull in one more stream for us. You’re on the right path, then! Keep it up! Wow! That is a hefty increase. I would definitely be taking advantage of that! A million dollars is still better than being in the poor house. 🙂 Plus in many cities in the U.S. this could go very far. I like the idea of multiple streams of income that bring higher returns like renting out homes to responsible young professionals or selling an online product over pet & baby sitting gigs.